Rare is the married couple in Canadian art history in which both husband and wife have achieved fame and success. In the early 20th century, there were sculptors Emanuel Otto Hahn and Elizabeth Wyn Wood and then later multi-media artists Michael Snow and Joyce Wieland. 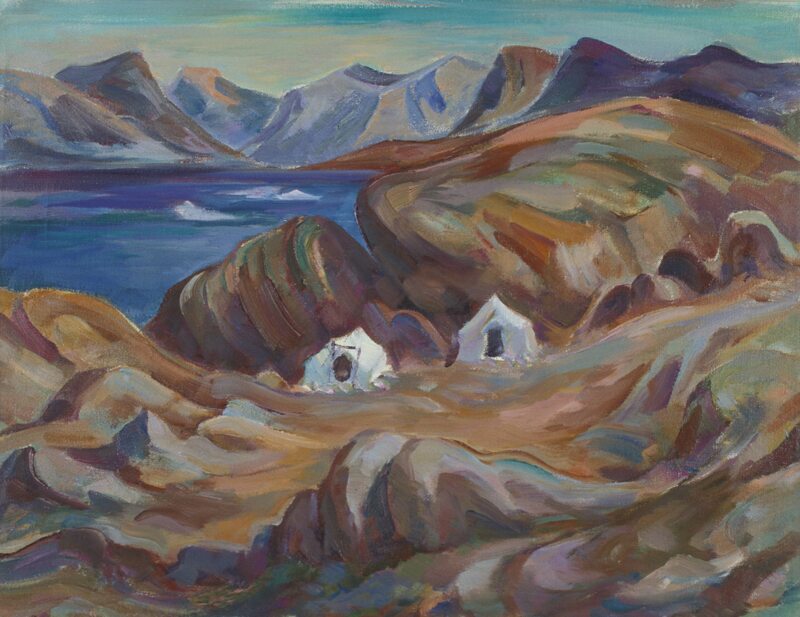 George Pepper Pangnirtung, 1960, Oil on canvas. Firestone Collection of Canadian Art, The Ottawa Art Gallery; Donated to the City of Ottawa by the Ontario Heritage Foundation. But there is another such couple from the early 20th century who perhaps did not achieve the fame of the aforementioned husbands and wives but who, nevertheless, deserve a prominent place in Canadian art history. That couple is George Pepper and Kathleen Daly, whose works are the subject of an exhibition in the Firestone Gallery of the Ottawa Art Gallery. Both Pepper and Daly attended the Ontario School of Art in Toronto and later the Academie de la Grande Chaumiere in Paris. After their studies, they married in 1929 and settled in Ottawa. 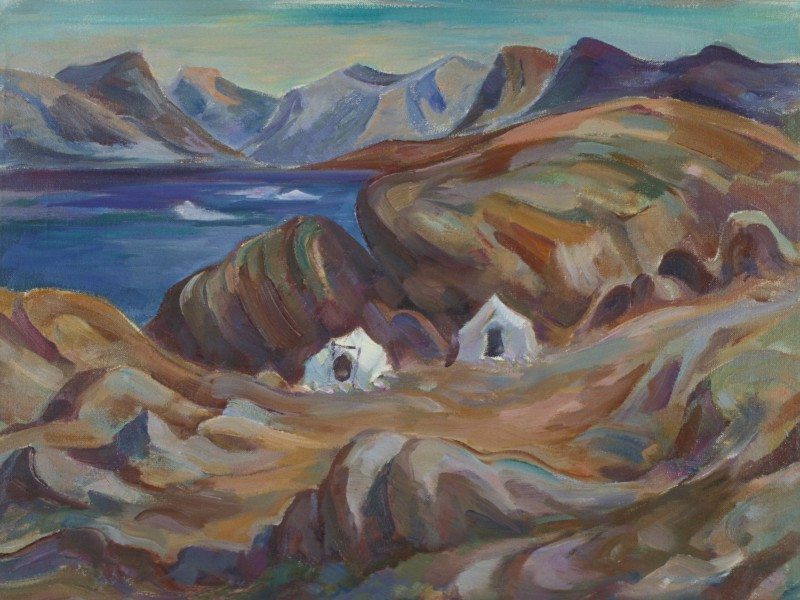 Their first joint exhibition was held in Ottawa in 1932, but the two are best known for their paintings produced at their summer studio in Saint-Urbain, in the Charlevoix region of Quebec, and later in the Arctic. 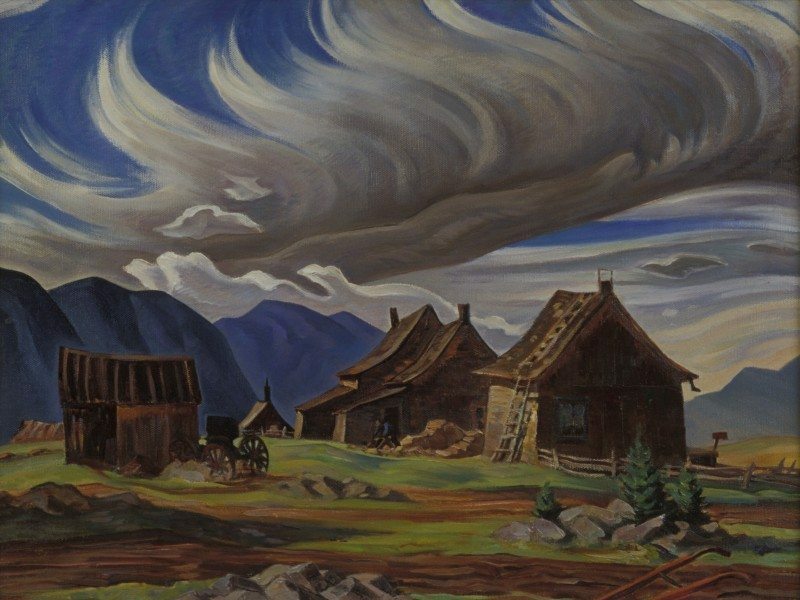 Works from both artists can be found in the collection of the National Gallery of Canada. 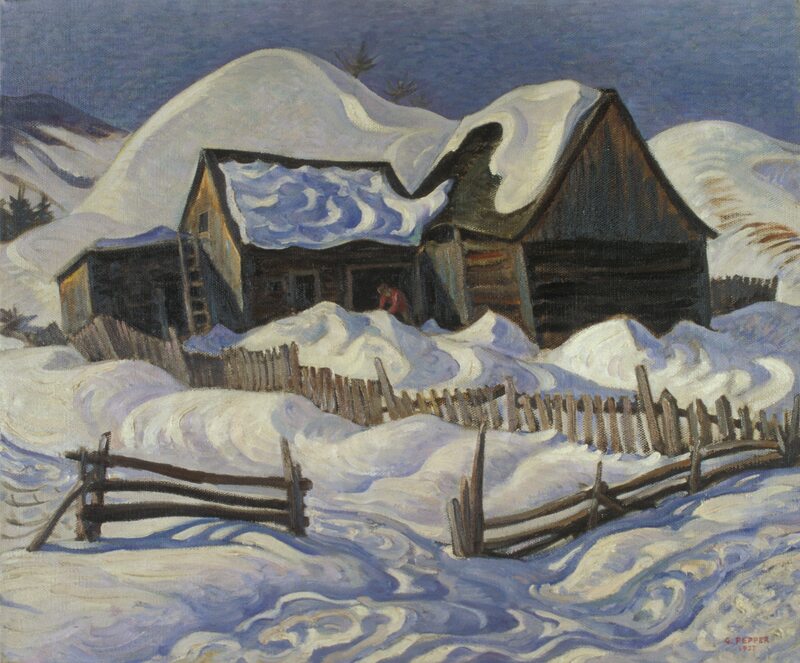 George Pepper, Old Barn, Québec, 1937, oil on canvas, 62 cm x 75 cm, Firestone Collection of Canadian Art, The Ottawa Art Gallery: Donated to the City of Ottawa by the Ontario Heritage Foundation, 1974. 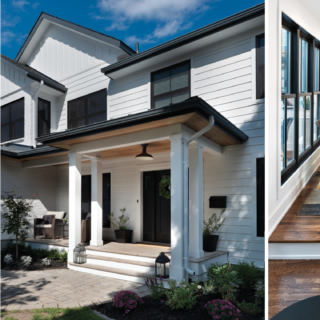 The Ottawa Art Gallery exhibition is titled Painting a Life Together and was curated by Melissa Alexander. 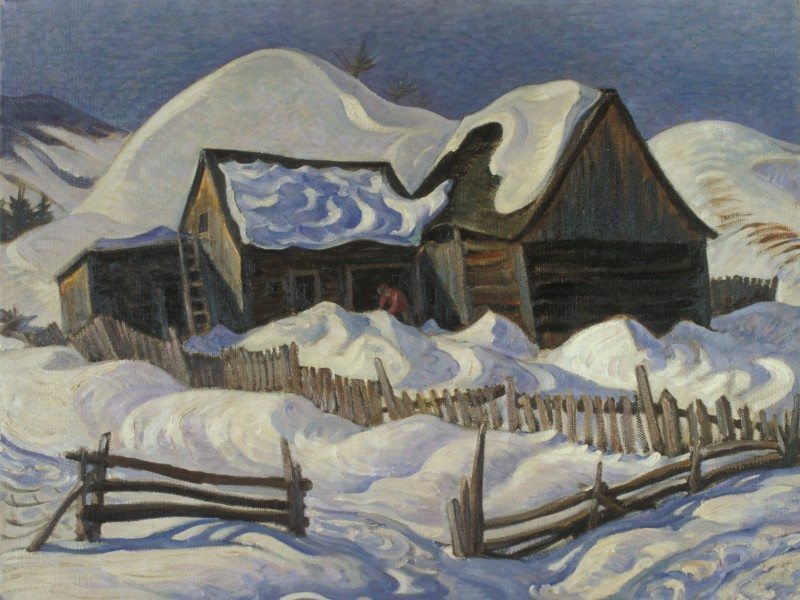 Works from the Firestone Collection have been supplemented by paintings and drawings from the substantial holdings of the Musee d’art contemporain de Baie-Saint-Paul in the Charlevoix region. Alexander’s exhibition focuses on Quebec landscapes which were done in the style of the Group of Seven but have one important difference: The paintings by Daly and Pepper often show people, buildings, cultivated fields or other signs of human activity whereas most Group of Seven landscapes tend to show wilderness untamed by man, despite the fact a lumber mill or First Nations community might be just around the bend of the scene depicted. There are also some fascinating drawings done of Inuit in the Arctic. 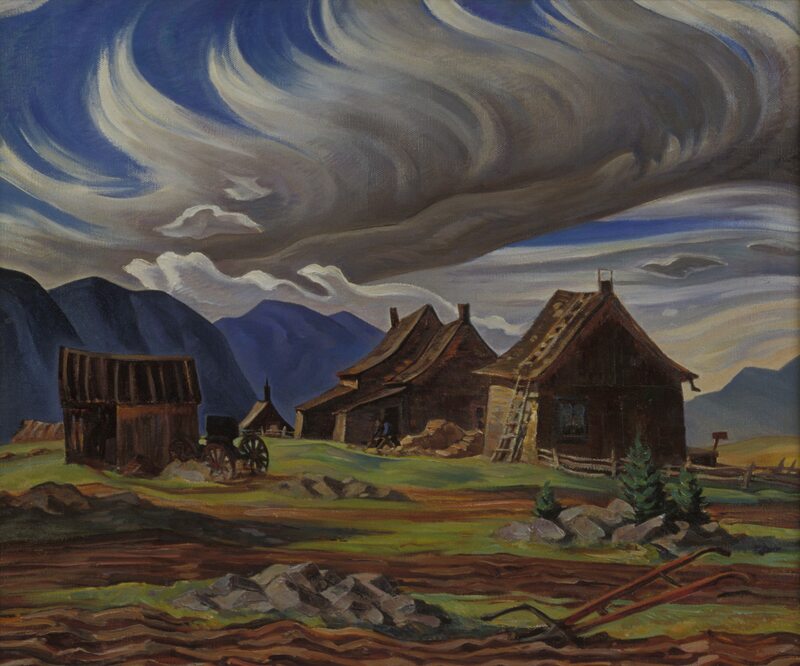 George Pepper Old Barn, Quebec, St. Urbain, Baie St. Paul, 1937 Oil on canvas Firestone Collection of Canadian Art, The Ottawa Art Gallery; Donated to the City of Ottawa by the Ontario Heritage Foundation. As a woman, Daly faced two big obstacles painting landscapes in the early 20th century. One was that painting, especially in the Group of Seven style, was deemed to be decidedly masculine and unsuited to women. Secondly, wives of male artists were generally assumed to be Sunday painters. 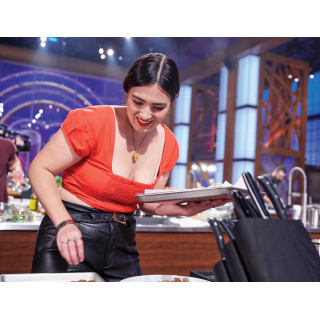 But Daly overcame both obstacles to forge a successful career. For all that, Daly must be saluted. There is a curator’s tour of the exhibit on Thursday, November 5, 5:30 pm. The exhibition continues until Feb. 14, 2016.